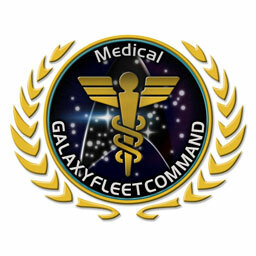 Introduce new members to the basic concepts of role play (RP) in a Star Trek environment, and offer the opportunity for spontaneous medical roleplay activities with our trained staff, equipment and facilities. Provide for meeting and interacting with additional established GFC Personnel at the beginning of a new member’s experience with the group, and answer their questions. Provide an additional place of initial reference, along with Personnel and the Academy. For details please see the MedWeb.